As age is a major risk factor for developing cardiovascular disease, one reality of aging may be the realization that we need to pay more attention to cardiovascular fitness. In the U.S., heart disease is a major cause of disability and the number one cause of death. Prevention involves not just avoidance of serious heart health issues, but also includes circumventing lifestyle limitations, which might include high blood pressure, shortness of breath, fatigue or physical limitations. To reduce the risks of developing cardiovascular disease, lifestyle management strategies such as avoidance of smoking, limited alcohol consumption, stress reduction, restricted sodium intake, heart-healthy eating, and frequent moderate exercise are often highly recommended. While blood pressure, weight and cholesterol levels are important in measuring heart health, chronic inflammation also puts your health at risk. Clinical studies have shown a compelling relationship between inflammation markers and the risk of future cardiac events. Chronic inflammation can potentially damage artery linings and contribute to the growth of artery clogging plaque formations. Taking steps to reduce smoldering, systemic inflammation can limit the damaging effects on the heart. Fortunately, the same lifestyle strategies that reduce cardiovascular risks, also reduce inflammation. An anti-inflammatory diet, such as the Mediterranean diet, and maintaining a healthy weight are at the top of the list, as fat cells, especially those located in the abdomen, are like little inflammation factories that produce inflammatory proteins. In other words, fat cells are not inert; they play an active role in harming the body through a pro-inflammatory response. The most powerful way to reduce inflammation is through diet and the loss of excess weight. In general terms, barring genetic factors, your overall health largely depends on your own lifestyle choices, as many age-related diseases are preventable. Supplements, in combination with healthy, nutrient dense foods and exercise, can ensure you are getting the full daily recommendations of vitamins and minerals in support of overall and cardiac health. Key areas for cardiovascular wellness include blood pressure maintenance, controlling blood lipid and blood sugar levels and stress management. 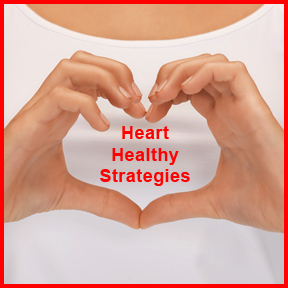 The effective use of dietary supplements can provide support as you endeavor to maintain cardiac vitality. Omega-3 fatty acids – Thought by many to be the most beneficial for protecting heart health, omega-3’s also help to reduce inflammation and support healthy blood pressure. Coenzyme Q10 – As a very important nutrient for healthy heart function, CoQ10, and its reduced form ubiquinol, supports the heart muscle and contributes to healthy circulation and blood pressure. Phytosterols – These naturally occurring compounds found in plant cell membranes are structurally similar to the body’s cholesterol. As a result, they compete with cholesterol for absorption in the digestive tract, which helps to lower blood cholesterol levels. The fiber found in plant foods has also been shown to lower blood cholesterol. Astaxanthin – In addition to its powerful antioxidant and pain relieving benefits, astaxanthin is a potent anti-inflammatory. By reducing inflammatory compounds, astaxanthin helps to reduce the risks of cardiovascular and other chronic diseases. Lycopene – Studies show that lycopene helps to boost the body’s natural antioxidant defenses protecting against DNA cell damage. Additionally, lycopene is believed to be cardio-protective for its inflammation and blood pressure reduction benefits. Cardio by NovaHue – This clinically supported complex contains patented standardized tomato extract plus a proprietary blend of 5 relevant phytosterols in support of heart health, a healthy circulatory system and maintenance of blood pressure already within the normal range. Lycopene by Progressive Labs – As an effective free radical scavenging antioxidant, Lycopene may help to reduce the risks of heart and other age-related degenerative disease by lowering oxidized LDL cholesterol. Astaxanthin 4 mg by Pure Encapsulations – Derived from Hawaiian microalgae cultivated under pristine conditions, this powerful antioxidant supports the skin, macula, joints, immune and cardiovascular wellness. Ubiquinol-QH (201899) by Douglas Laboratories – This biologically reduced form of CoQ10 supports antioxidant, energy and cardiovascular function. Plant Sterols by Ortho Molecular – Designed to provide support for healthy cholesterol levels, this product contains plant sterol esters for natural cardiovascular support. This entry was posted in Home and tagged Astaxanthin 4 mg by Pure Encapsulations, Cardio by NovaHue, Heart disease, Lycopene by Progressive Labs, Plant Sterols by Ortho Molecular, Professional Supplement Center, Ubiquinol-QH (201899) Ubiquinol-QH (201899) by Douglas Laboratories, Vitamins and supplements, www.professionalsupplementcenter.com. Bookmark the permalink.